Are you getting paid what you are worth? Are you looking to enhance your pay? If you are an experienced podiatry assistant or front desk clerk, we have a great opportunity for you!! 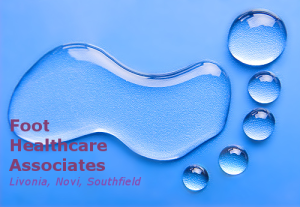 Seeking a Full-time & Part-time Podiatric Medical Assistants for a group physician office based out of Livonia, Novi & Southfield, MI. We are willing to train the right talent, but experience is preferred. Our Team is GROWING! Newly designated as a Specialist in PCMH by BCBS, we need dependable and hard-working Assistants to join us! Compensation is DOE and runs $10-$16 per hour (with opportunity to potentially earn even more for long-term employees). We also offer many performance and referral bonuses to our staff!! Must be available to work varied hours Monday through Saturday. Must be responsible, motivated, and have reliable transportation to Southfield, Novi, or Livonia. -Taking medical histories and recording vital signs when necessary. -Explaining treatment procedures as needed to patients. -Preparing patients for examination, assist the physician during the examination, instruct patients about medication and special diets, and prepare and administer medications as directed by a podiatrist. -Making castings of feet, preparing patients, exposing and developing X-rays for podiatrists. -Authorizing and telephoning drug refills as directed. -Removing sutures and changing dressings. -Arranging examining room instruments and equipment, and purchasing and maintaining supplies and equipment. -Keeping waiting room and examining rooms clean. -Processing insurance claims and operating a computerized patient management system. -Handling any other duties as assigned. Please reply via email with a resume and cover letter. Please include expected starting wage and hours in your cover letter (not doing so, will disqualify you from consideration). We offer excellent benefits including Medical, Dental, Life insurance and 401K. If you are looking to upgrade your current pay to what you deserve or if you are just looking for a new start and feel that you have the type of talent we are looking for, our office could be what you are looking for! We offer competitive pay and some of the best Podiatric Doctors & Surgeons in Michigan! For more information on our practice, visit michiganpodiatry.com. Please email your resume and cover letter. We will reply to you if we feel that you may be a good candidate so we can setup an interview. To be considered for our open Podiatry Medical Assistant Job, the Candidate should have at least 1 year of previous experience in the medical field.